Over the years, several close friends and family members suggested renovating our old barn and turning it into a wedding venue since this was the hot trend sweeping across the state (and the entire country). Early in 2015, we had already renovated our granary on the property and named the business Living Waters Cabin Getaways. God confirmed the name one Sunday, despite my objecting opinion. The granary renovation decision was certainly profitable for us and was keeping me busy. Primarily, guests from the big cities like Chicago, Madison and the Twin Cities were making reservations for the cabin. However, I found myself looking for more of a challenge because I was still left with plenty of free time. I felt my life was quite full with traveling, time with kids and grandchildren, and other ministry opportunities I was involved with. But still, I felt I needed something more to focus on—something I could be excited about. In my heart, ministry was on the top of the list. I was praying and asking for direction from the Lord, and this ultimately led to our decision to move forward with turning our place into not only a wedding venue, but also offering ministerial events… Living Waters ~ Weddings, Retreats & Cabin Getaways was established! My prayer was for God to bring something into my life that I could pour my heart into—the idea of people having the opportunity and a place to accept Jesus, and steadfast faith in God. That’s where Kicking Bear comes in. Back in September, my husband Denny received a phone call from Keith Tompkins, founder of Leading with Power, a men’s ministry organization. He asked if Denny wanted to join him as he was traveling to La Crosse to jumpstart Leading with Power in the area. Denny was hesitant because he had not planned to go anywhere—work on the farm had to be done. But the idea of going with Keith piqued his interest; Denny felt that the Lord had been calling him to get more involved with a ministry for some time now. Denny asked me what I thought he should do, and I replied with, “Why not? !” Well, he decided to go. While there, it just so happened that Denny and Austin Siewert, from Kicking Bear, struck up a conversation. Austin shared more information about Kicking Bear Ministry’s vision and involvement with youth in the outdoors. 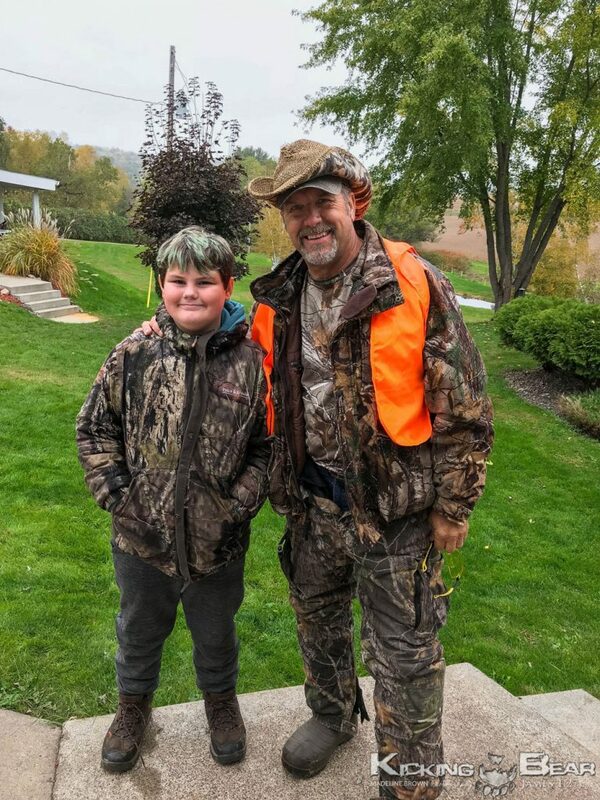 Denny asked where this Youth Hunt was held (usually in Blair, WI), and ironically, Blair is only 20 minutes southwest from our farm. Austin had stated that Kicking Bear was still searching for a location that would meet the group’s needs for this year and had been praying about a new place to host the expanding youth hunt. All the while, Denny was thinking about the possibility of our location. Isn’t this the type of plan that God would orchestrate? 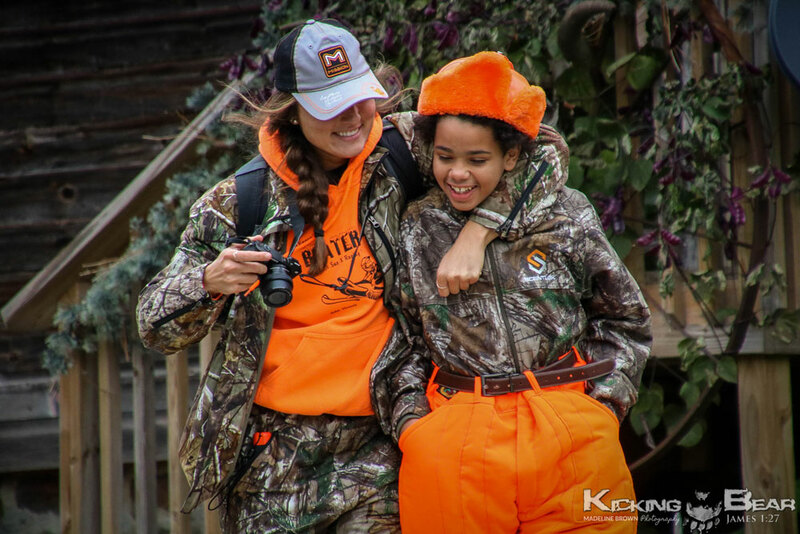 We don’t believe in happenstance, but we understood that this was a Divine appointment for Kicking Bear Ministry to host the Youth Hunt here. We had no idea just how exciting and heartwarming it would be for us to host this group. Denny and I were so blessed to be able to offer our place as a home base so the Ministry could carry out its mission—to get kids off the streets, involve them in God’s great outdoors, and share His Word, teachings, and love with them. All the while, the kids made a ton of new friends and spent quality time with their mentors. Out of 25 youth that attended, I was eager to meet my mentee Hudson. On Saturday we had Kyle, our youth pastor from the church we attend, give a heartfelt testimony to everyone present, along with the opportunity to accept the Lord as their Savior. Out of the corner of my eye, many raised their hand, but I caught a glimpse of Hudson seemingly struggling with whether he should raise his hand or not. 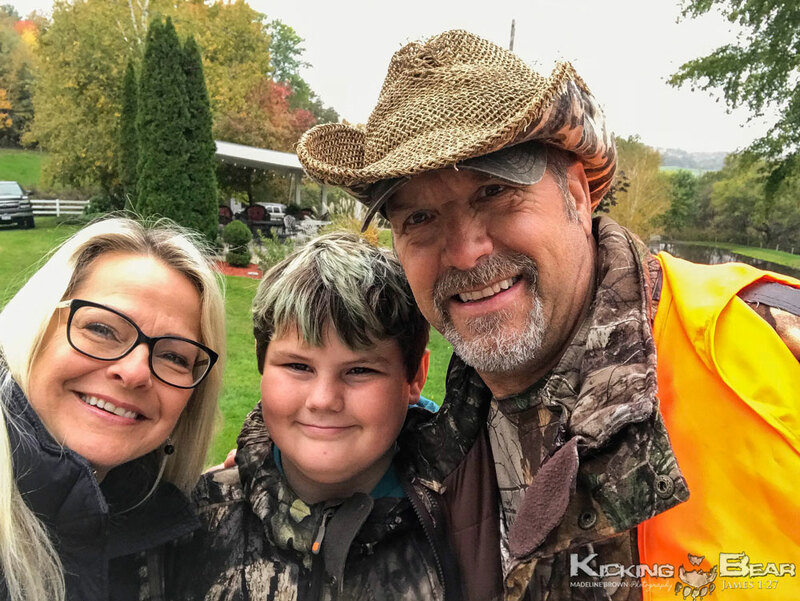 Afterwards, we went out for the afternoon hunt, and while sitting together in our stand, it was on my heart to bring up what Kyle had spoken of and shared about the Lord. I asked Hudson how he felt about what Kyle had said and asked him if he wanted to accept Jesus Christ into his heart. Hudson shared that he wanted to, but he felt afraid to do it. After having a conversation with him about how much God loved him and wanted to be involved in his life, I told him he need not be afraid to make that decision. I asked him if he wanted to make that decision as we were sitting in the woods hunting together. He said he did. I led him through a simple prayer of asking him to ask Jesus into his heart and to be his Lord and Savior, and Hudson repeated that prayer. It brought great joy to me personally to lead Hudson to Jesus. 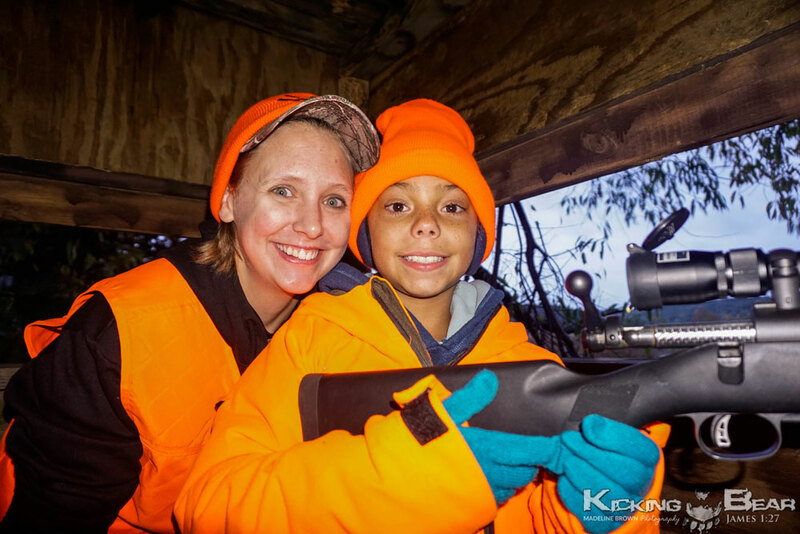 This was the first time in my life I ever had the opportunity to do this, sitting in a deer stand with a young man. I feel like it won’t be the last one, either. 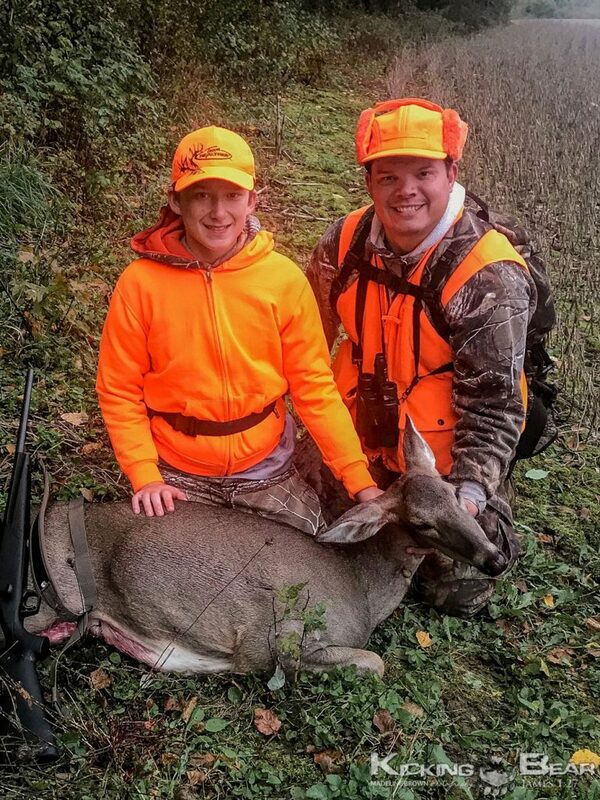 Sixteen out of 25 kids harvested a deer which will provide meat for their families for a year, but many accepted Jesus as their Savior which will last for eternity! The kids also caught fish and played lots of fun games. Everyone had a blast! I was praying that God could use everything He has given us. Our gifts, talents, education, and experience. We delight in offering this as service for the Kingdom of God. We know we have at least one gift—the gift of hospitality. We were certainly wanting God to use it. After all, the Bible encourages us to, “…use whatever gifts we have in proportion to our faith” -Romans 12:6. We had no idea the scope of how He would bring about the opportunities He has. I would’ve never dreamed that God would have had this on his agenda while I was praying for Him to open doors of ministry opportunities. Somehow, I believe Denny and I might be surprised with future ministry that God may bring to us, and for that, we are both extremely excited. 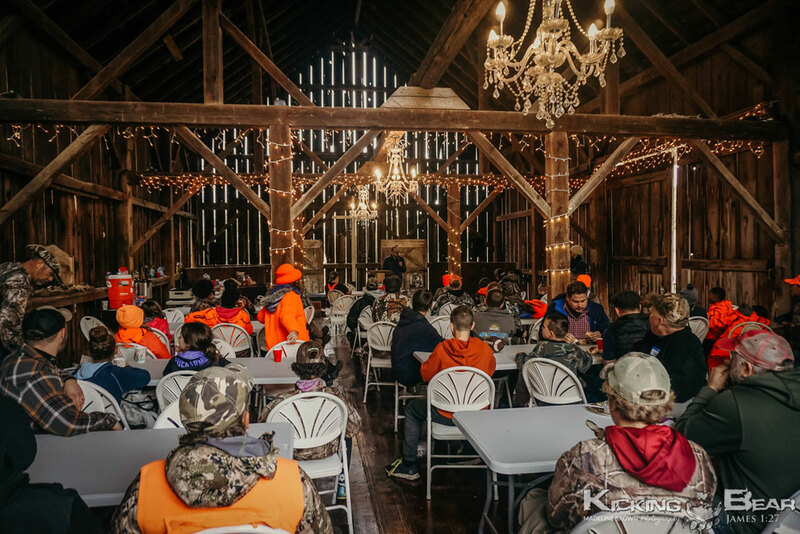 Denny and I can testify that God did more than answer our prayer during the 2018 Youth Hunt with Kicking Bear Ministry —He exceedingly did so, immeasurably more than what I certainly asked, thought or imagined according to His power that was at work” -Ephesians 3:20.